On the court and off, the 2015 edition of Rogers Cup delivered the goods. The site looked amazing, and any moment you could see anything from a top player to a bunch of headless walking flower pots strolling by the grounds. For real. Enjoy our favourites from an awesome week below. 1. Belinda Bencic with the upset of the year. If you say you saw that coming, you’re lying. 3. Shiny men are shiny. 4. A small fan asked Serena Williams if she can beat Novak Djokovic. 6. Lucie Safarova gave these sisters an amazing memory forever. 7. Simona and Sara show off. SKILLS. 8. A new legend is born: Pierre from Brampton. 9. The Toronto edition of Genie Army met their leader. 10. 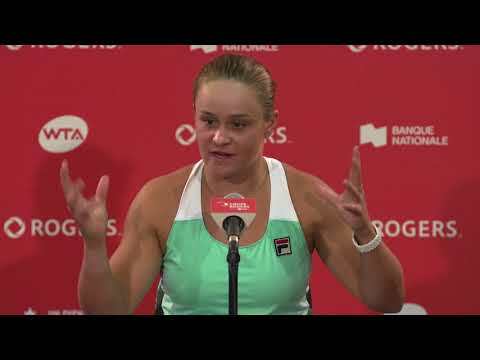 WTA stars try to figure out which celebs are Canadian. It’s harder than you’d think! 11. Air guitar with tennis racquets? All day. 12. Bencic learns that she could add a cool $1M to her winnings if she takes the US Open title. 14. 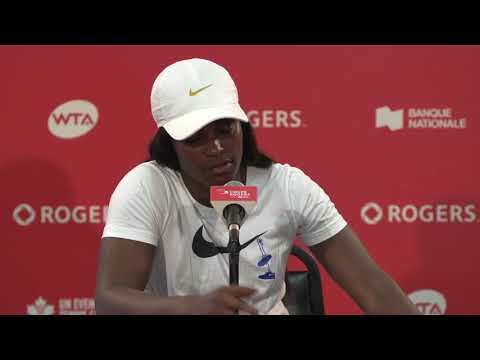 Newest Rogers Cup Hall of Famer Justine Henin was frank and reflective addressing the dominance of Serena in the women’s game. 15. Rogers Cup joins Snapchat, emoji-lovers everywhere rejoice. 16. 13-year-old Max joins Bencic in the Amazing Teens category, with this special guest blog. 17. BB is your 2015 Rogers Cup champion. What were you doing when you were 18? Jun 08, 2018 Which WTA player would be your best friend?